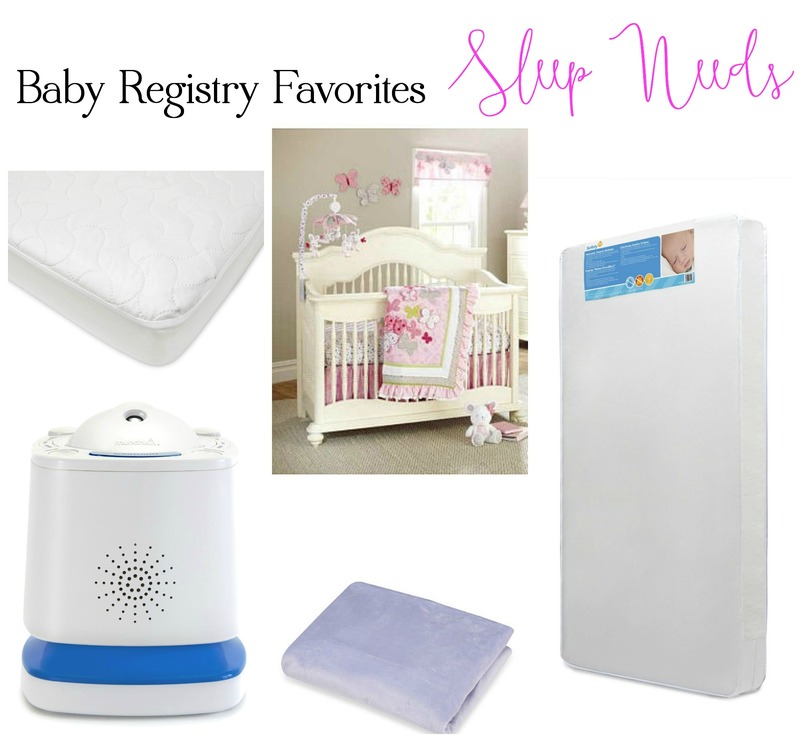 Second baby registry: This blog post covers all of the items that I absolutely loved using with our first baby and will continue to use with our second baby. There are so many baby items out there, but this list is tried and true! 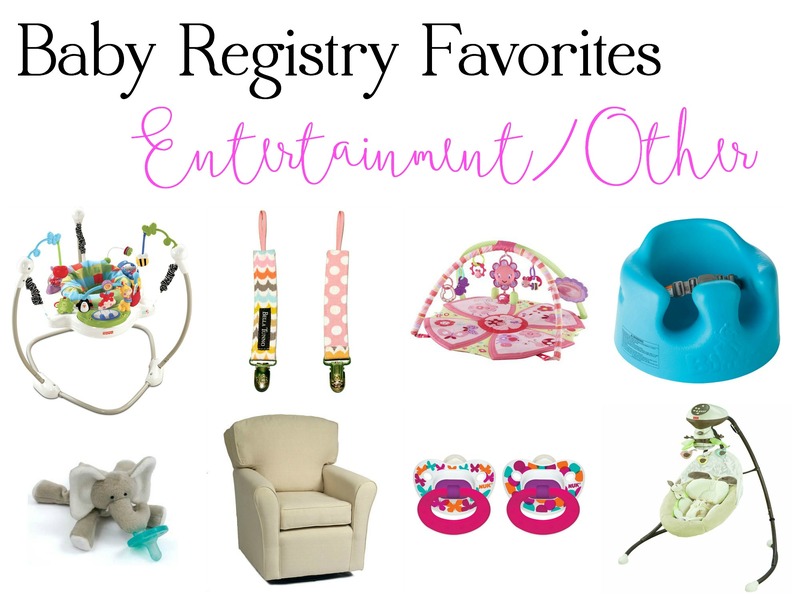 You truly cannot go wrong with any item on this list for your baby. Congratulations! Today I’ve officially hit the 20 week/half way mark to holding our baby girl, and I really cannot believe how quickly this pregnancy is flying by! In the next couple of months it’ll be time to dig through the basement and revive all of our baby gear to get it ready to use again, which has had me thinking a ton lately about what our needs and wants are for this baby (thankfully the list is very short!). I spent a tremendous amount of time preparing my baby registries a few years ago (registering with Amazon.com was a decision I’d recommend for sure). My main focus was selecting items that were primarily gender neutral and quality enough to last for at least two babies. Thankfully the majority of the items we received we loved and are excited to clean up and get ready to use again for Hadley’s little sister. The following is a lengthy list of items we used with Hadley that we’re looking forward to using again. 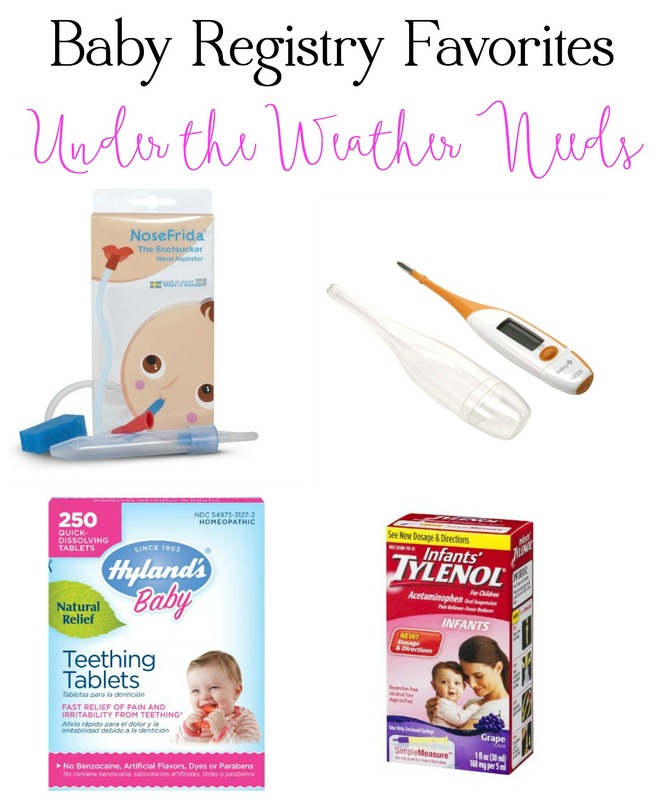 I’ve only included items that we highly recommend to other moms or moms-to-be! Britax B-Agile & B-Safe Travel System – There’s a reason you see this travel system everywhere! The stroller is lightweight and folds up with one hand (that was very important to me). The car seat is one of the highest rated on the market and is fairly easy to take apart and clean. Britax Stroller Organizer – Having a cup holder and a compartment to hold other “junk” is essential to me! BOB Revolution Single Stroller – We’re both runners, so getting this stroller wasn’t a question. Though it comes with a hefty price tag, it’s been worth every penny (and mile we’ve put on it). I can run with it with one hand easily. We keep this one set up in the garage for runs and neighborhood walks and the Britax in the back of my jeep. Though this stroller is heavy, it’s the best you’ll find for using outdoors. We’re smitten, and so is everyone else who uses is regularly! 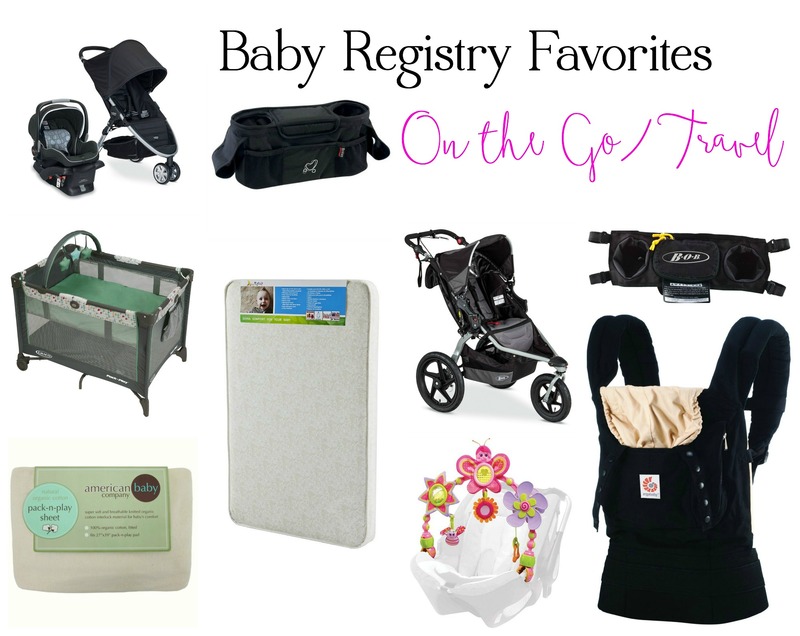 Graco Pack ‘n Play – We love having a simple pack ‘n play! Nothing fancy, and super easy when we’re (always) on the go! Pack ‘n Play Mattress – Of course! Pack ‘n Play Mattress Sheet – We have two of these and always travel with both of them. Stroller Arch – Hadley absolutely loved watching and eventually playing with this arch that attached to her car seat. Ergobaby Original Baby Carrier – This carrier wasn’t comfortable for me (or for Hadley) under she hit the four month mark, but once she was big enough for it we used it religiously! If it’s worn correctly, this is such a helpful baby item. Crib Sheets – We have three crib sheets, but having two is all you really need (in my opinion). Crib Mattress Pads – We also have two of these. If we’re changing Hadley’s sheet because of an accident or sickness, we always change the mattress pad too. Crib – We so love this crib. It’s just beautiful! We’re excited to use it again for this baby girl and then eventually covert it to a double bed and give it to one of the girls. Crib Mattress – We went with a middle-of-the-road mattress as far as price range goes, and Hadley seems to sleep just fine! Munchkin Nursery Projector and Sound System – This white noise machine also projects images in a circle on the ceiling. Parents can turn on the setting where white noise comes on automatically if the baby cries in the middle of the night. It also has a timer function. Contour Changing Pad – We’ve been really happy with this durable changing pad! Changing Pad Liners – We only used these liners for the first few months when Hadley was having accidents on her changing pad frequently, but they were totally necessary for those few months! They kept us from having to change the whole pad cover; Instead we just had to switch out the liner if she tinkled a bit. Costco Kirkland Signature Baby Wipes – I’ve learned that I’m not the only one who’s sold out to these wipes! The main thing I love about these wipes (besides the price) is that typically only one wipe comes out at a time, which ends up saving a lot of time and wasted wipes. Desitin Maximum Strength Paste – This stuff is magic on Hadley’s bum! I’m sure every baby is different, but this specific paste has worked wonders when needed! Pampers Overnight Diapers – I’ve only been able to find these on Amazon, but they are the most absorbent overnight diapers we’ve tried (and I believe we tried three different types). These were a must! Medela Breast Pump – Because I was an exclusive pumper, this little guy was my BFF for a long time! Dr. Brown’s BPA Natural Flow Bottles – I’ve heard people say that these bottles are a pest because they have several parts, but we never minded them. We definitely believed they helped with gas bubbles. Boon Grass Countertop Drying Rack – There’s one size bigger that’s available, but we loved this one because it didn’t take up my whole counter. Bottle Brush – Just get a couple! Graco Blossom 4-in-1 Seating System – Not only is this a great high chair, but it also comes with a fabulous additional seat that can attach to a regular dining chair so that the little one can join at the table. The additional seat is also small enough that it makes traveling with it a cinch. You’ll see this high chair in so many homes, and for a good reason! WubbaNub – Hadley’s BFF, truly! This was a great sensory item for Hadley because she could hold the animal and stroke it when she was teeny tiny. NUK Pacifiers – Our favorite brand! Pacifier Clips – We had a couple of these and found them very useful when we were going out for the day. Bumbo Floor Seat – We loved plopping Hadley in this seat atop the kitchen counter when we were cooking dinner or on the bathroom counter when I was doing my hair and makeup. Fisher Price Jumper – Anything that my babies enjoy that wears them out gets an A++ in my book! Fisher Price Swing – Hadley slept in this every night until she was 10 weeks old. Love! Bright Starts Activity Gym – Every baby needs a play mat, and this is the one we had and loved. It’s very simple and traveled well the couple of times we wanted to bring it with us. Nursery Glider – We don’t have this exact chair (the one we have was sadly discontinued), but this one is somewhat similar in style and price. Hadley’s is still in near-perfect condition even though we sit in it every single day. NoseFrida Nasal Aspirator – Poor Hadley hates this thing (with a passion! ), but it works beautifully at clearing out that runny nose completely! Hyland’s Teething Tablets – We used to rub these on her gums when she was teething, and they always seemed to relieve her pain. Plus she loved when we rubbed her throbbing gums! Safety 1st Thermometer – There are so many fancy thermometers out there, but we shamelessly prefer the five-second rectal thermometer. It’s accurate, quick, and something she doesn’t fight. Infants’ Tylenol Pain Reliever – This was our other go-to for teething and fevers. We made sure to always have some on hand. Diaper Genie – We stopped using this around the 15-month mark when it wasn’t closing properly and majorly stinking up Hadley’s room. Now we prefer to just throw her diapers in the regular trash can and take the trash out every night. We prefer the ease of not having to buy the inserts anymore and empty the genie (super stinky job – literally). AngelCare Video, Movement, and Sound Monitor – I know some moms who swear by this monitor to relieve their SIDS fears, but we truly hated this monitor. We started using it when we put Hadley in her crib at 10 weeks, and this monitor ripped us out of bed in the middle of the night more nights than I can count. The false alarms aged us 10 years at least. This was a huge waste of money. Thick Crib Bumper – After finding Hadley’s head buried face down in the corner of her crib under the bumpers at 11 weeks old, we quickly ripped these bumpers off and got rid of them ASAP. I’m still scarred from hearing Jamie scream after finding her, thankfully before it was too late. We thought she was safe because we didn’t know she could roll over to her stomach and wiggle her way to the corner. So terrifying! These should be banned from being sold. Auto Rock N Play – because everyone labels this as a must-have! Baby Bjorn baby carrier – because it seems to be a better carrier for newborns. Monitor – we want something simple this time. Bathtub – because we disliked the last two tubs we’ve tried. Diaper bag – because I need something a bit bigger. Double Stroller – Maybe just a nice double umbrella stroller? Fisher Price Kick and Play Piano Gym – because it looks so fun and cute! Whew! Did you make it through the whole list?! I’d sure love your feedback on these items as well as items you use and love that you’d recommend that I look into for baby #2.